Keva is a nightclub that is a great combination of restaurant, bar and disco. This nightspot serves exotic Asian and European food in its lounge that guests can wash down with a fine array of cocktails, liquor, wine, whiskies and premium malts from its bar. This can be done while the Dj is playing live music in front of the dance floor. Elegantly designed interior of Keva Nightclub also matches with the sophisticated cookery and drinks of this venue, as it features various souvenirs and relics from different parts of the world. In addition to this, chilled out ambiance and up-beat music makes Keva more appealing to the party-goers of Dubai. - This nightclub provides a happening dance floor to tap the feet on funky and hip music beats. - Various Djs showcase their talent by playing hit music. 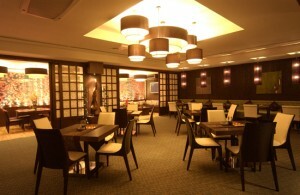 - Guests of Keva Nightclub can also savour food at this rousing spot. - Wide range of drinks is also available. - Ladies nights is another highlight of Keva Nightclub. - Outdoor seating facility is also available at this nightclub, where guests can stretch their legs if they want a break. The usual operational hours of Keva Nightclub are from 8:00 pm to 3:00 am and this venue follows these timings on all seven days of the week. Al Nasr Leisure Land - Oud Metha - Dubai United Arab Emirates. Oud Metha Metro Station 2 is sited 1.0 kilometre away from Keva Nightclub. Therefore, if a person walks from Oud Metha Metro Station 2 towards this nightspot, he or she can easily bridge the gap in roughly 12 minutes. A person can achieve this time frame if he or she heads in the south course on Oud Metha Road/D 79, after exiting this metro station and then turns right. After that, a patron needs to turn left from where the destination is not too far on the left side. Directions from Oud Metha Metro Station 2 Keva Nightclub. Bus numbers 10, 33, C4, C5, C15 and C19 will drop you at the nearest bus station to Keva Nightclub. The name of this bus stop is Nasr Sports Club 2 – Dubai and it is 350 metres away from this nightspot, which makes it a walking journey of just 5 minutes. All bus passengers need to do after arriving at this bus stop is head southwest on 10th Street, then turn left and later turn right in order to reach the destination on the left. Directions from Nasr Sports Club 2 – Dubai to Keva Nightclub.